Had a fun day today :D! 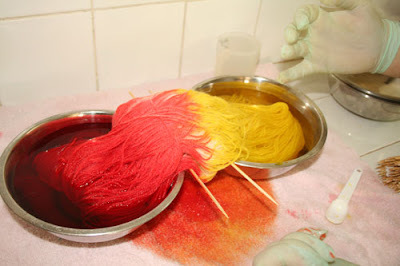 Katy came over and showed me how to dye wool using powdered food colouring... OMG! Had no idea it was so easy! It's definitely something I could do and would be fun to do as well. 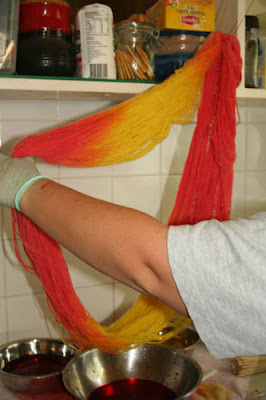 I can even do it with the kids around because there are no caustic fumes they might inhale! 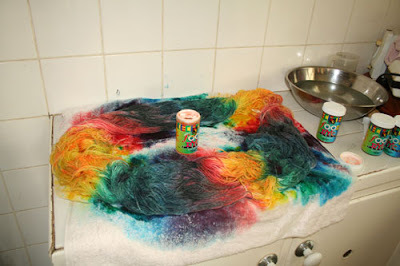 And here is a bit of dip dying, this was even easier! 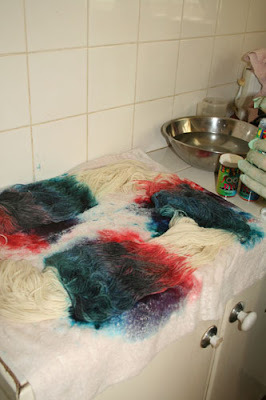 The wool just soaks up the dye like a sponge! 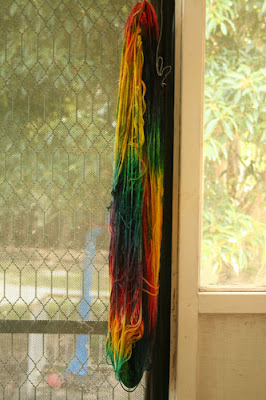 I can't wait to knit with this! The other thing I did today, was take receipt of the water filter we're trialing for a week... Dave doesn't want to spend the money on this as he is quite happy to drink water from the tap, but I hate water straight from the tap. In this suburb it tastes like crap, ergh! Consequently, I don't drink a lot of water because if I buy a drink it is usually Coke Zero. 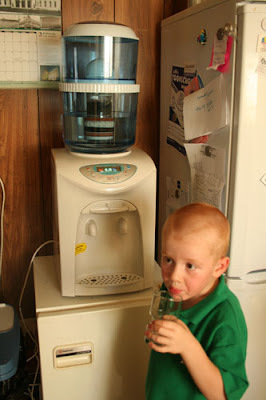 We spend about 5 dollars a week on Sparkling Mineral water, which Dave mostly drinks... This filter both chills and heats water, so it's also doubles as an urn. 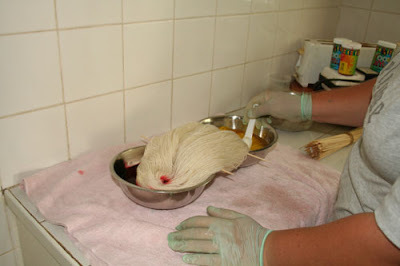 The weekly repayments for it over 18 months is $10 a week, or $40 a month. 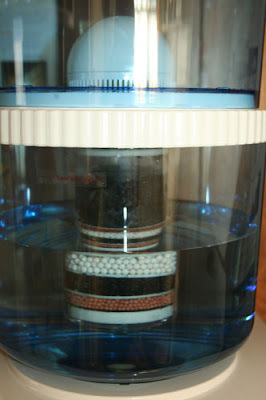 Every six months you get a new filter, which is another $50 bucks... I'm already loving it, have had 5 glasses of water already, and that's quite amazing for me! There are seven layers of filtering including charcoal and terracotta, and the water comes out chilled and tasteless and lovely, yes, better than bottled hahaha! Gorgeous wool! And that filter looks great! I know someone else who has one similar, except it is in a terracotta pot. She bought it outright, for a lot of money! I bet the water tastes fab, I tasted some out of a similar filter at the SLF last year, and it was great! How exciting! 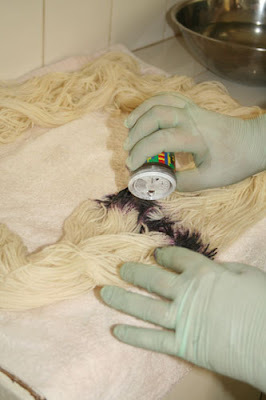 Oh that wool looks gorgeous ! Glad you like the water! I love it, and we have a permanent freestanding filter now :D Love the wool too. 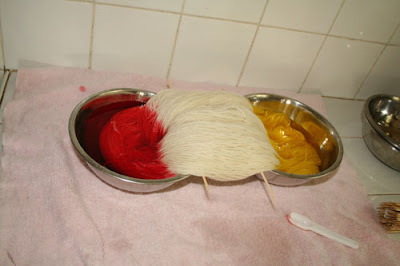 I don't spose you can use food dye for fabric huh? Dearest Sif, I was so excited to come across your blog a few days ago, have been trying to read it all but treat myself to a bit a day. You have encouraged me in so many areas of my life, my life is great but I have so many failings and your honesty and openess and the way your journey has unfolded gives me hope and inspiration, if that doesn't sound too corny. Anyway we're on a big move to QLD this week, if you can email me on my generic addy orlenna@gmail.com I'll fill you in on us when I'm back online, since I've feel a bit voyouristic [sp] just reading all about you. Gorgeous photos, love them. Will definitely email you! And please, feel free to lurk and/or post comments here!! !